‘Heat’ began life as an idea in 2004, and was then redeveloped for this project. The music takes influence from African and equatorial music and rhythms, with the strident marimbas, the guitar and higher bass parts imitating mosquitos, creating an intense rhythmic feel punctuated by short pauses. 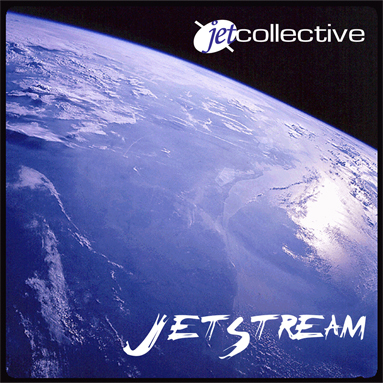 ‘JetStream’ is the new double album from the JET Collective, due to be released in December 2014 on JETWorks Records. The suite of material draws inspiration from the weather and climate in its broadest sense, with material based on the science of weather, solar radiation, poetry, seasonal conditions, climate exploration and the way we feel about the weather. 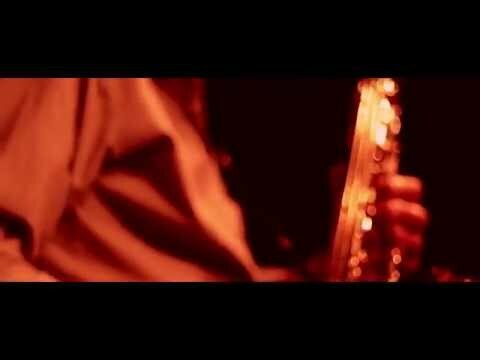 Thanks to Ian Dearman for shooting and editing the video. Thanks to the Old Library Studios in Mansfield – we recorded the album there during this year, and shot the video in the theatre space in August. Available on all digital platforms and physical double CD from December 1st 2014. The 16 track album was inspired by the theme of weather and climate and has some startlingly original tunes like ‘Carbon Love Affair’, ‘Isobars’, ‘Troppo’, ‘Glaciology’, ‘Solar Storm’ and more. Hear the ‘JetStream’ without having to go to the stratosphere! You will hear some great musicians – Reg Clegg on guitars and bass and his unique falsetto singing, Karen Clegg on flute, keyboards, melodica and her wonderful singing, acclaimed author Simon Beckett on congas and various percussion instruments, Clive Loveday’s brilliant drumming, Paul Biggins on keyboard, guitar and bass guitar, and last but not least Steve Salfield on tenor, alto and soprano saxes. You could even buy the CD if you want to! To mark the release of our new album called ‘JetStream’, JET Collective will be having a celebratory gig at The Green Man Gallery, in Buxton on Sunday December 7th, 2014 at 7.30pm, with doors opening at 7pm. The album was inspired by the theme of weather and climate and has some startlingly original tunes like ‘Carbon Love Affair’, ‘Isobars’, ‘Troppo’, ‘Glaciology’, ‘Solar Storm’ and more, which we will perform. Please come and see and hear the ‘JetStream’ without having to go to the stratosphere! Tickets: £8. Booking essential. At the gallery in person or email hello@thegreenmangallery.com; phone 01298 937375.